Sigma's 18-35mm f/1.8 blew people's minds when it burst on the scene a couple years ago. Both the price and performance were unprecedented, as it was (and is) the fastest zoom lens ever created to that point. All the while also being priced at well under $1000. It has no stabilization, but the crystal clear image, along with the wide constant aperture, certainly garnered much respect and attention. The only problem was, that it's just a bit on the wide end of things. Realistically, to have all your bases covered you would probably need something longer, possibly in the 50-XXXmm range to go along with it, even if you're utilizing both a Speedbooster and dummy adapter on smaller sensor cameras like the Blackmagic Cinema Camera and (Super 16) Pocket Cinema Camera. This two adapter method allows the user to get two different fields of view out of the single lens, which is pretty handy. Those who saw the lens first hand from CP+ seem to think it's very similar in build quality to the previously released 18-35mm lens, and the image characteristics should dovetail between the two lenses very nicely. The internal focusing and zooming mechanisms will have the video shooter very pleased as well, especially when dealing with rod systems and matte boxes that require cinema style internal mechanics. Also, I'd imagine this new lens will be "cinevised" with re-housings, lens gears, clickless apertures, etc. almost immediately upon release by people like cinemaglass.com, Duclos, and other lens modification services. While these lenses not yet officially released yet, it stands to reason that this could possibly be best 1-2 punch combination of lenses for most people, period. Paired with Speedboosters or regular adapters, the focal range available from just these two lenses is pretty unbelievable. Throw in the fact that they are on par (image-wise) with many top of the line prime lenses and it appears to be the makings of an unbeatable combo. 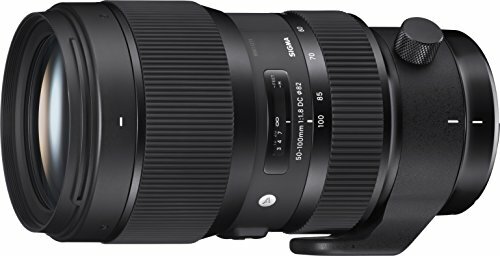 The Sigma 50-100mm f/1.8 DC HSM Art lens will be available at the end of April 2016, in Canon EF, Nikon F and Sigma SA mount. It will retail for $1099. Last year Blackmagic Design unveiled a few new cameras at NAB 2015. 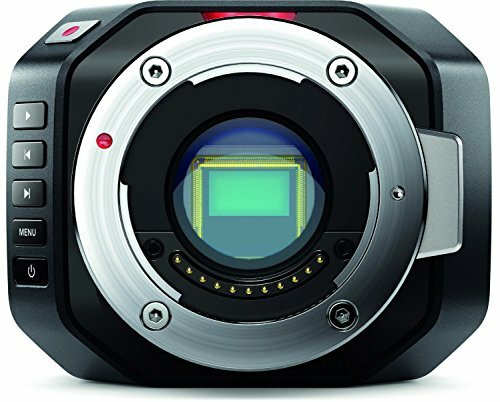 While most people obviously gravitated towards the 4.6k Ursa Mini with it's high resolution Super 35 sensor, high frame rates, and many other pro level features, the Blackmagic Design Micro Cinema Camera with Super 16mm sensor seemingly slipped under the radar, in comparison. With us now nearly in to the month of March, and NAB 2016 right around the corner, the customer anger (or RAGE?) is building day after day over the epic delays for these cameras that were promised to begin delivering back in July. Per usual, there is next to no communication from Blackmagic Design as to why any of this is happening, but finally some sample footage has begun trickling out from behind the "iron curtain" through it's secret network of beta testers. This beta footage from the Micro Cinema Camera looks great, and shows just how amazing a feature like 60p can be. I'd say it's probably the most sorely missed capability of the original Blackmagic Pocket Cinema Camera, at least for us. That, and the horrific battery life - now seemingly fixed with the implementation Canon LP-E6 batteries in the Micro Cinema Camera. I'm still not sure about the design of this diminutive camera, although I do like the "cube" form factor for cameras in general, as you can easily cage and bolt things to it, similar to RED cameras - known for their flexibility and modularity. Although, it should be perfect for all instances you would of otherwise HAD TO use a GoPro, and get stuck with trying to mix that garbage image quality in with your other footage (yuck). Even a small overall size increase, to add a simple display (similar to GoPro's tiny screen?) of some kind to show what settings you're in, would probably be welcomed by most. Also, notice how I said "introduce" and not "ship"? Why would they ever want to do a thing like that!? At IBC 2015, Tangent Wave Ltd. debuted a working prototype of their new entry level color grading panel, with the intent to gather feedback from everyone ranging from post production professionals, to novice colorists who might not have previously had a color grading panel on their radar due to the extreme cost. (eg. 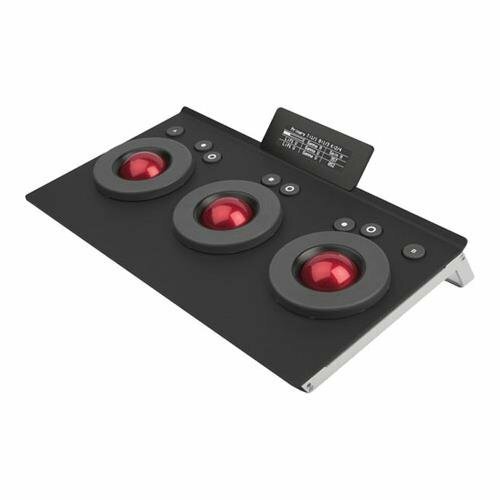 Davinci Resolve Color Grading Panel - $29,995). They estimated the device to debut in early 2016 and cost a mind blowing $350. Tangent has made some improvements since September at IBC, based on customer feedback, and has given a brief update to the design changes made. This is accompanied with a new release date pushed back to the end of April, with actual production units being displayed at NAB 2016 (early April). It’s been a while since we’ve made any announcements about Ripple so we thought we’d post a quick update. Increasing the size of the dials. Increasing the distance the gap between the ball and the dial. Making the “finger dimple” in the dial deeper. Adding some kind of “grip” to the edge of dial. All of the above were to make it easier to operate the dial. Click on the thumbnail to the left to see the final design that's now in production. Incorporating the above changes has inevitably delayed the release date of Ripple. We had originally hoped to get the panel out some time in March, but it now looks most likely that it will start shipping at the end of April. The good news is that we will be showing Ripple on our booth at NAB (SL5507) and on some of our partner’s booths, so you'll be able try out the production model there if you’ll be in Vegas for the show. We can't wait to get our hands on one and start putting it through its paces on some projects! 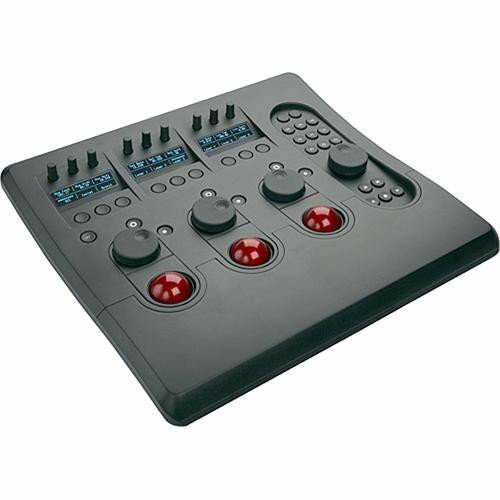 While it's obviously a more basic, less robust panel, the potential to take this product out of the edit bay and on the road with us is very exciting - but the true game changer is the $350 price tag. That is incredible value in comparison to what the "entry level" product pricing in the color grading panel realm is right now (somewhere in the $1500 range - Tangent Wave). At that price, even the average video person can start using real color grading equipment to learn the techniques and theory, without having to shell out the equivalent cost of a mid sized sedan! As usual, NAB cant come soon enough!